The National Safe Boating Council (NSBC) is a national catalyst for recreational boating safety committed to the advancement and promotion of safer boating through education, outreach, and training. The NSBC accomplishes this mission by promoting outreach and research initiatives that support boating education and safety awareness; improving the professional development of boating safety educators through training; and developing and recognizing outstanding boating safety programs. To learn more about the NSBC and its programs, visit www.safeboatingcouncil.org. The NSBC serves as an advocate for boating safety and education and a unifying resource for organizations that seek the goal of Safer Boating through Education. In celebration of its mission to be the foremost coalition for advancing and promoting a safer recreational boating experience through education, outreach and training, the NSBC offers one annual contest and one grant. These award opportunities recognize individuals and organizational partners in the boating community that create innovative programs designed to improve boating education and raise awareness of recreational boating safety-related issues. NASBLA envisions a national recreational boating program where the number and severity of recreational boating accidents are substantially reduced and boating-related deaths virtually eliminated, where family-oriented fun and personal responsibility are valued in equal proportions, where universal boater education is the rule rather than the exception, and where boating laws and regulations are seamlessly applied across state lines. 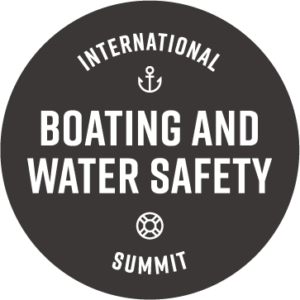 The International Boating and Water Safety Summit is a joint venture between the National Safe Boating Council (NSBC), the National Water Safety Congress (NWSC) and the National Association of State Boating Law Administrators (NASBLA) with additional support from a grant produced under the Sports Fish Restoration and Boating Trust Fund, administered by the U. S. Coast Guard. Learn more at www.nasbla.org. The NWSC remains committed to continuing their leadership role in advancing the promotion of education and hands on training for safety on our recreational waters. The NWSC develops, publishes, and distributes boating and water safety education materials to recreational and professional users, with a consistent message to provide public safety benefits and designed to reduce or eliminate water-related accidents, injuries, and fatalities. The NWSC acknowledges those who have made outstanding contributions in their efforts to prevent accidents or loss of life, and assist us in building a network of water safety professionals throughout the country between federal, state and local organizations and individuals. To learn more about the NWSC and its programs, visit www.watersafetycongress.org. NWSC’s extensive award program recognizes the contributions of the many water safety professionals and dedicated volunteers. Please check out the award program and nominate anyone that you know has performed a laudable water safety act. This gives us all an opportunity to say “Thank You” and to inspire others to continue to give their best for water safety!